The Catchment Based Approach (CaBA) promotes collaborative working at a river catchment scale to realise a range of environmental, social and economic benefits. Key to the success of these partnerships has been the availability and sharing of ‘open’ data. The Catchment Based Approach (CaBA) promotes collaborative working at a river catchment scale to realise a range of environmental, social and economic benefits. Partnerships, active in each of the 100+ Water Framework Directive river catchments across England, bring together a diverse range of stakeholders including environmental NGO’s, water companies, local authorities, Government, landowners, academia and local businesses. Collectively, partnerships have leveraged significant funding from a wide range of sources, driving delivery on the ground. Key to this success has been the availability and sharing of ‘open’ data. This enables partnerships to collectively identify the pressures impacting upon their river catchment, prioritise and target issues for action, enhance understanding between partner organisations, and embed a sense of collective ownership of key issues. Improved understanding of their river catchment through open data has also enabled partnerships to better engage in the wider river basin planning process. This provision of data has been strongly led by the CaBA data user group (CDUG) working with Government to overcome Intellectual Property issues and release 120+ data layers for each catchment nationwide via the CaBA Data Package. This encompasses a wide range of issues including water quality, flood risk, designated areas, ecosystem services opportunity maps and natural capital layers. 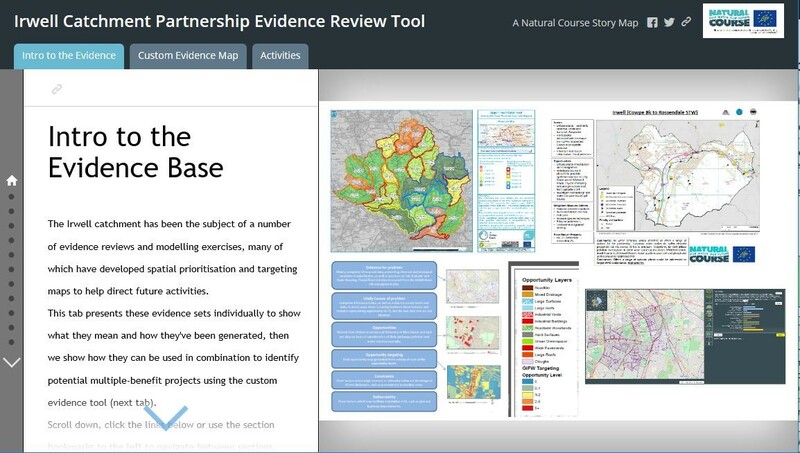 This wealth of information has enabled partnerships to underpin both catchment plans and project proposals with robust quantitative data and evidence, building confidence in them as trusted delivery partners. The data package has also helped to identify knowledge gaps and limitations in understanding, that are addressed by a comprehensive support and training programme. The data user group has also supported the development of a number of shared information platforms. These enable local data from project partners to be captured, displayed and integrated with other datasets.. Local data includes that derived from; river walkover surveys that identify e.g. localised pollution sources; electrofishing; water quality monitoring programs, the extent of invasive non-native species and; barriers to fish migration. A guide to Citizen Science and Volunteer Monitoring has also been published and is supported by training and workshops to help partnerships gather local evidence. All of these data sources, and more, bring a critical weight of evidence to bear enabling partnerships to better identify the pressures impacting upon their local river and work together to identify the optimum solutions. The shared information platforms enable all partners to contribute information and ideas so it is truly important that in the shared principles water companies and NGOs have committed to further sharing of data in a timely and transparent way. This two way flow of data will helps us to work together to better understand environmental impact and achieve environmental improvement. 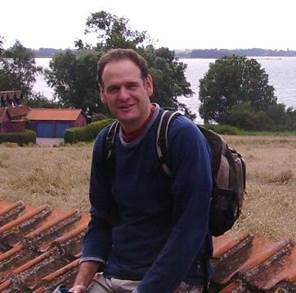 Dr Rob Collins, Head of Policy and Science, The Rivers Trust.